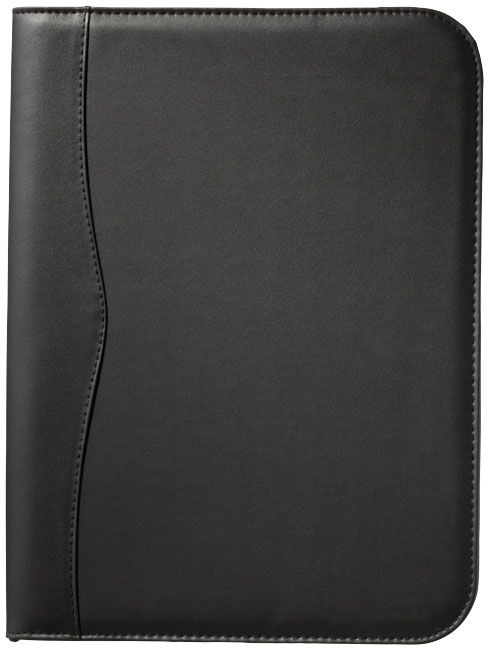 Ebony A4 zipper portfolio. 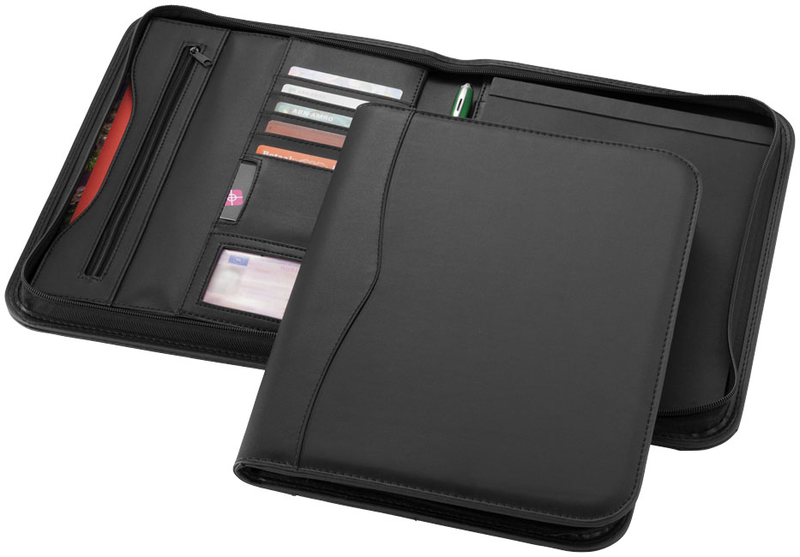 Portfolio with zip closure, pen loop, zipped pocket, document compartments and 20page lined notepad. Pen and accessories not included. Imitation leather.